How we define the best hydroponic system? By definition, hydroponics is a method used to grow plants in a nutrient rich water-based solution. It does not use soil since the roots are supported in an inert media like rock wool. Perlite, vermiculite or peat moss. According to full bloom hydroponics, the mechanism is to allow the roots to have a direct contact with the nutrients and oxygen. Only then plants can grow properly. This idea has been around since King Solomon’s time. And it has shown some advantages over traditional soil-based growing. It gives the plants a higher growth rate by up to 50% with a greater yield. Plants get their nutrition from the nutritious water. The plant doesn’t have to grow large roots in search of water hence spending more energy productively above the root line. Hydroponically grown plants are healthy and consistent. This gardening form is clean, easy and requires little effort, says street directory. Some may say that hydroponically grown vegetables are less nutritious but it’s all just talks. More in-depth investigation on nutritional value can be found here. 3 How do Hydroponic system work? 4 What to Look for in Hydroponic Systems? 6.1.1 What sort of hydroponic system is it? 6.1.2 How many growing sites does it have? 6.1.3 What are the bucket sizes? 6.1.4 Is it an expandable system? 6.1.5 How heavy is the total system? 6.2.4 Is this system expandable? 6.3.2 How many growing sites? 6.3.3 What are the sizes of the buckets? 6.3.4 Can you expand the number of growing buckets? 6.3.5 How heavy is this? 6.4.1 What type of hydroponic system does it use? 6.4.2 How many growing buckets are there? 6.4.3 What sizes are the growing cups? 6.4.5 How heavy is this system? 6.5.2 How many growing buckets and what are the sizes? 6.5.3 Can you expand the PowerGrower GH4830? 6.5.4 What is the weight of the system? **Below, you’ll find our more detailed hydroponic system reviews; you can also click the links above to check prices or read customer reviews on Amazon. How do Hydroponic system work? Hydroponics work on a basic principle though the system itself can be very complex. It is the simplest kind and completely passive. Wicks are used to pull the nutrient solution into the growing medium. It can use an air pump to oxygenate the solution, but the system itself has no moving parts. According to SF Gate, it is the least expensive hydroponics system though it doesn’t work with large or thirsty plants. It is a simple active hydroponic system where the plant is directly exposed to the nutrient solution. The plant is held by a floating foam block suspending it above the liquid. It also uses an air stone and pump to oxygenate the solution. Plants like lettuce that like water can do well in such a system. Simply hydro says that it is suitable for only a few other species of plants but, in general, it is the best hydroponics system. This consists of a growing tray and a nutrient-filled reservoir. The submerged pump periodically floods the grow tray and drains it again. This provides the plant with adequate nourishment without needing special oxygenation. This tray contains rockwool or gravel, but plants that need a lot of moisture can be grown in coconut fiber or vermiculite. This is the most versatile hydroponics system and is the most common among them all according to growth technology. It is similar to the ebb and flow where the nutrient is stored in a reservoir. The plants are grown in a soil-less medium, but unlike other systems, the drip system dispenses the nutrients through a small nozzle. The extra solution is collected and recirculated or allowed to drain. The drip timer is adjustable making it possible to grow different types of plants with this technique. This system uses a pump to deliver the nutrients to the plants though it does not require a timer. The plant roots are exposed to a constant flow of nutrients. This system requires no grow medium since plants are suspended in baskets individually. It is an inexpensive method though can be unstable; any disruption in the supply can quickly kill the plants since there is no growth medium. It is a very high-tech method where the pants are suspended above misting nozzles. Every few minutes, the roots get a spray of a fine layer of nutrients solution. What to Look for in Hydroponic Systems? You must consider if the system will fit into your growing space. The dimensions of the system are very crucial as you consider purchasing one. If the sales website or store display has inadequate information – call the technicians to help you out. Leave some space around the system for the tank, free access to the equipment and plants. If you are planning on planting big plants, consider that they always hang over the sides so allow them enough space. 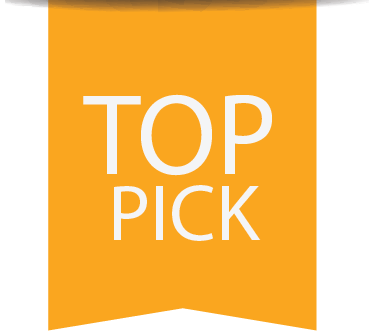 According to Growell, NFT systems are the best to grow tall plants. The pump is the main source of noise in a good hydroponic system. Depending on the location of your system, you should go for those that generate the lowest noise when operating. However, if you are planning for a large system, you will need a powerful water pump to drive water to the roots hence more noise. NFT systems require 24 hours flow of water whereas Ebb and flow systems only require the flow a few minutes each hour. A full demonstration of explanation by a technician or salesperson can help you make the right decision. 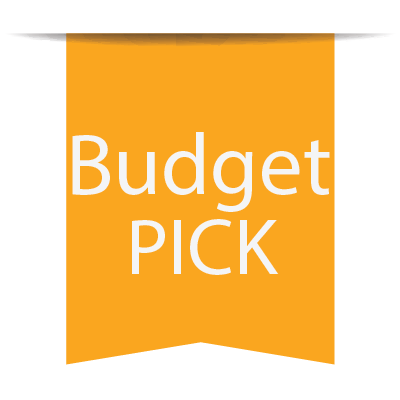 Other than size and features, the cost is a major determinant as to what type of system you can buy. As a new grower, you can start small then graduate to larger or more complex systems. Starting small allows you to master the technique before getting in too deep with bigger systems. Since most hydroponics systems use electric water pumps, you will have to budget for more power consumption. However, they consume only a little power. If growing under HID lights, you should also consider the lighting cost. Manpower requirements for hydroponics systems are quite low compared to regular soil-based growing. It, however, require some level of regular attention. The system also needs maintenance to ensure it runs as required. When using high output light, height can be an issue; these light systems generates a lot of heat even if you have an air exchange system installed. Tall growing rooms are the best for ventilation. For growing rooms less than 6 feet, get growing system that give the plants extra breathing room. Spread the light further and avoid heat build up. The best indoor hydroponic system so far. With this system, you can grow fresh vegetables and herbs in your home all year round. It is a great system that fits on the counter-top. Bounty Gourmet features a patented system that delivers nutrients to your plants. 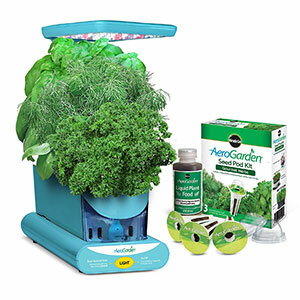 AeroGardens produces the world-leading indoor gardening systems. This system is growing faster than any ever seen in the market. It is the best small hydroponic system due to its performance and efficiency. It can accommodate up to 9 plants with an energy efficient environment. The 45-watt system uses efficient LED lights to aid in photosynthesis. It concentrates white light for fast growth. Blue LEDs for bigger yields and red for more flowers and fruits. This hydro growing system makes plants grow five times faster. Bounty Gourmet comes with 3 oz liquid plant food, mint, dill, chives, thyme, Italian parsley, curly parsley, Thai basil and Genovese basil. This hydro setup can grow three plants with the 10 watts of high performance LED lights. The lights are tuned to specific spectrum for optimal plant photosynthesis. Which results in rapid growth and high yields. You can experience delicious fresh vegetables and herbs all year. The sprout has an easy to use control panel to create the optimal conditions for the plants. It turns the lights on and off and also reminds you to add nutrients and water. It includes all that you need to start growing your garden. You get liquid nutrient for the full season: dill, curly parsley, and Genovese basil to start with. Growing your plants at home can never be easier. This patented design was proven in the farms for commercial use. It is maintenance-free equipment featuring an award-winning growing system that eliminates guess work. It produces more than double the regular yield and requires very little effort. You can grow flowers, vegetables, herbs and fruits hassle-free. And produce bigger, healthier and tastier greens in the EarthBox. It features castor wheel for easy movement and germination covers. It comes with 1 lb bag of organic fertilizer, 1 lb bag of organic dolomite, two mulch covers, and water fill tube. You can now grow your veggies at home easily and enjoy freshness every time. It measures 2 cubic feet with dimensions of 29 by 14 by 11 inches in length width and height respectively. Looking to buy an advanced and most effective hydroponic system? Then you may consider buying the GH4720 Farm Controller made by General Hydroponics. This growing system are especially useful to anyone that wants to grow a high quantity of plants indoors. This should be one of the first considerations when shopping around for a new indoor hydroponic setup. Here are the details about the General Hydroponics GH4720 Farm Controller that you should know about. What sort of hydroponic system is it? The GH4720 Farm Controller uses a drip system. So this allows you to have more control over the amount of nutrients and water that you feed to your plants. This will allow you to grow your plants with more consistent and quicker results. So if you want to grow a lot of plants, then this GH4720 Farm Controller is the one for you. How many growing sites does it have? When you buy this product, you are given 8 buckets to start with. However, you do not have to use the 8 buckets altogether. 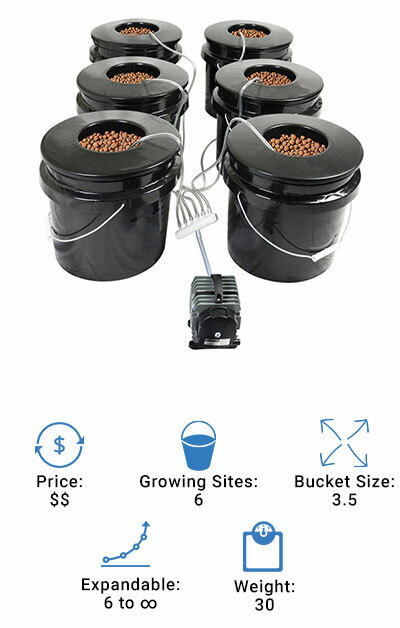 You can easily use this growing system with as little as 3 buckets. What are the bucket sizes? Each bucket can hold up to 1.4 gallons. So this makes it a versatile growing bucket which can hold and sustain a variety of different plants. Extra reservoir with 12 gallons will keep the system full for one to two weeks with small plants and may last a few days to one week with larger plants. Is it an expandable system? 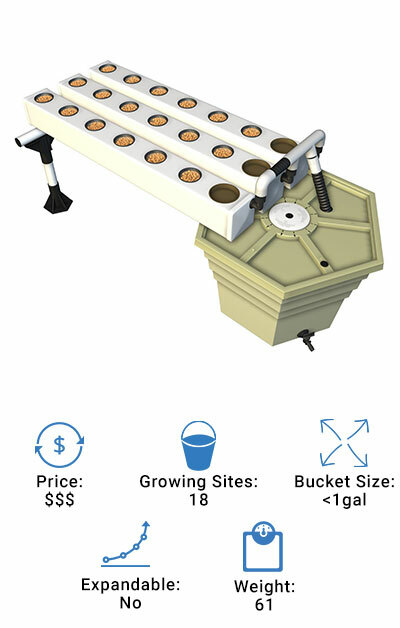 While this hydroponic growing system comes with 8 buckets, it can be expanded to include more growing buckets. The main system itself can support up to four additional buckets, bringing to a maximum of a total of 12 buckets per growing system. How heavy is the total system? The total weight of the GH4720 Farm Controller is just a little over 43 pounds. So it is generally a hefty system that you will probably need quite a bit of room for. This hydroponic system is meant to be used by growers who are planning to have a large setup, so that would explain the weight of this system. The GH4720 Farm Controller is the perfect indoor growing setup for anyone that wants to grow a large number of plants. It’s many different and flexible uses allows to grow a lot of different plants within its buckets. You would certainly not regret getting this system because of its value for your money. The Hydroponic Bubbler Bucket Kit is a deep-water culture growing setup that offers a lot of features to indoor growers. If you are searching for an easy hydro setup that can support and grow a large variety of species of plants and is fairly cheap, then this system could be your best option. There are a bunch of features that make it a great choice. So, you may want to read through this whole article if you want to know if this is the perfect growing system for you. For a low price and large capacity it is also recognized by weed growers. 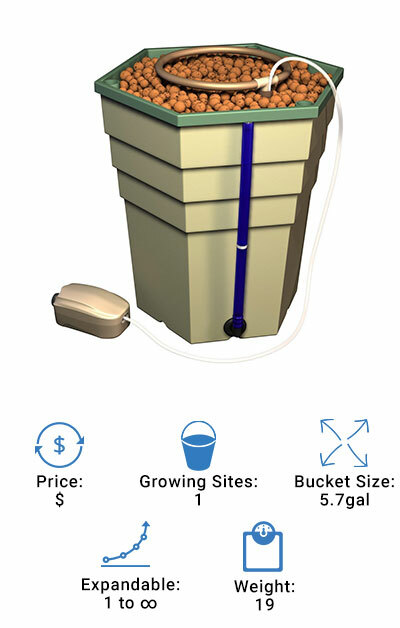 The Bubbler Bucket Kit has got a reservoir that holds the nutrient solution, which is then pumped into the growing buckets. This is the Deep Water Culture (DWC) type hydro growing system. 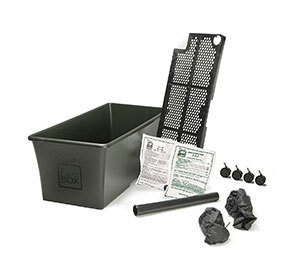 And since the Bubbler Bucket Kit is a DWC hydroponic System, this would make it an ideal choice for first-time growers. 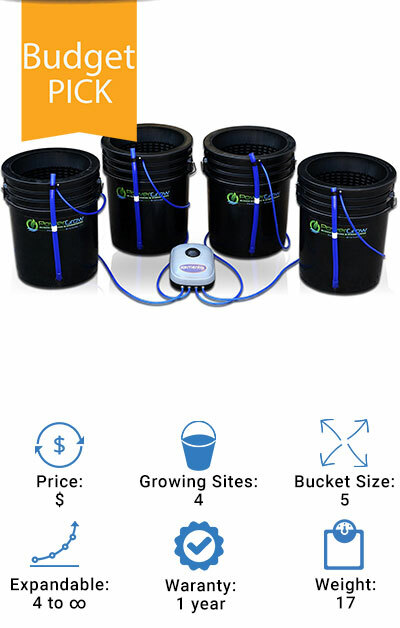 This hydroponic system is sold with 4 buckets. So, this makes the Bubbler Bucket Kit a good choice for anyone that wants a small to a medium-sized growing kit. It would easily support the efficient growth of a small indoor garden. The growing buckets are particularly big! It has got 5-gallon buckets that are ten inches! So, you can easily grow plants that need more space without any worry. You could even grow multiple plants in one bucket. Yes, the bubbler bucket kit is easily expandable. You can expand the number of growing buckets, or even the number of plants that are grown inside the buckets. You can grow up to a variety of four different plants per bucket. So, this hydroponic system can expand to fit your needs. The Bubbler bucket kit weighs at just 17 pounds. So, this makes it a small and lightweight indoor growing system. If you are a bit limited on space at home, or if you move this around a lot, this small growing system is a good choice for you. Aside from all of these wonderful features, there are other great things about the Bubbler Bucket Kit. It is relatively easy to set up, even if you had never used a hydroponic system in the past, it should take no more than 20 minutes to fully set up. The hoses, buckets and even the pump itself is really high-quality. So, you will not have to worry about this product suddenly breaking down after a few uses. With the high-quality materials and ease of setup, this hydroponic system sold by Power Grow, could be a great purchase for indoor growers. This hydroponic growing system is a pretty standard setup. It has got the usual growing buckets, net pots, drain tubes, air pumps, etc. But when you take a closer look at the quality of those materials of this hydroponic system, then you would see that they are all very well-made and the pump runs quietly! The Bubble Brothers Hydroponic System uses a deep water culture method for growing plants. This is an ideal type of system for indoor growers, primarily because of two factors. It is both low-maintenance and relatively inexpensive. So, if you have never used hydroponic growing systems in the past, then you should have no trouble at all with this one. Just be aware that for plants that take a longer time to grow, this DWC system is not the ideal choice. Bubble Brother ships with 6 growing sites. These six buckets allows for more than an ample amount of growing space. And if you want to begin to grow a big indoor crop or garden, then this one is perfect for you. What are the sizes of the buckets? The growing buckets of this product can allow you to save space because they are not overly large. With a capacity of 3.5 gallons, the 6-inch buckets have got a net pot lid. You can even grow up to 2 to 3 different plants per pot. Can you expand the number of growing buckets? 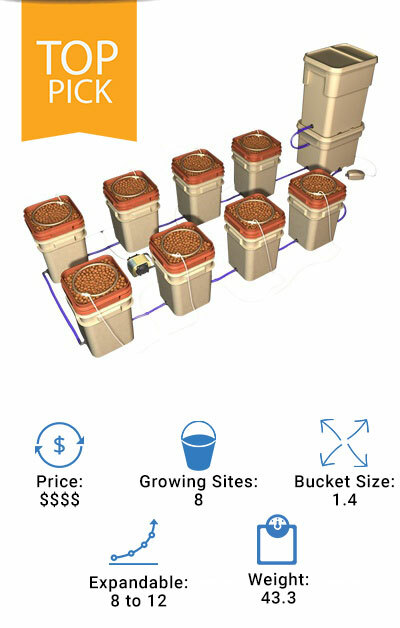 This growing system can support more than 6 buckets that it comes with. So, you will not have to get another full system if you want to grow more. Don’t forget to add additional or stronger pump. It weighs about 30 pounds overall. But despite its relatively big weight it still allows you to save space with its ergonomic bucket design. The HTG Supply Bubble Brothers Hydroponic System makes for an all-around solid hydroponic system. If you are looking for a standard indoor growing system that would allow you to grow your plants without any fuss indoors, then this product could be a good one to try. The set up is a breeze, so even a beginner farmer should find no problem in using this growing system. In short, this is a good hydro system that offers solid quality and a good price. 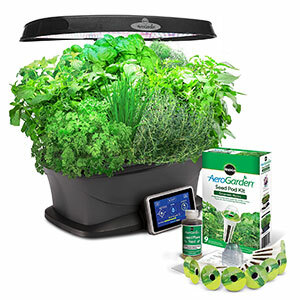 General Hydroponics makes another great indoor growing system with their Aeroflo product. It has got all the things that it needs to begin growing plants indoors. The Aeroflo system’s tray holds up to 18 cups and a 17-gallon capacity reservoir. These 18 grow cups are spaced on the tray in three rows, which each row measuring around four feet long. That’s why it has got a relatively small footprint despite having a lot of grow cups. This review will cover the rest of the details about this hydroponic system. What type of hydroponic system does it use? This product uses a Flood and Drain type hydroponic system. Instead of having the roots constantly exposed to the growing medium, the growing tray repeatedly drains and floods itself. This way plants get the moisture and nutrients periodically. This allows you to use up water and nutrients efficiently, so there will be very little waste. How many growing buckets are there? This product does not ship with growing buckets since it does not use a DWC, wick or drip system. Instead, you can grow the plants altogether on one tray, which can hold about 18 growing cups. What sizes are the growing cups? Unlike growing buckets the cups that this product has, are much smaller. Each cup can hold about less than a gallon of water. This means that you will only be able to grow small plants, and only single plants in each growing cup. You won’t be able to expand growing cups in this product. It is to 18 cups. So you will have to buy another full system if want to increase the number of plants. How heavy is this system? This is a heavier system weighing at 61 pounds. You will need ample room to grow it in. And it would also not be easy to move around. For an indoor grower who has got enough space though, this is the perfect hydroponic system. The small size of growing cup is ideal for smaller plants that grows smaller than 3 feet. If you are planning to kick start your indoor garden, you can easily start to grow or germinate seedlings inside of the Aeroflo . You can use it in conjunction with a larger hydroponic system. So, once the seedlings have germinated you can transfer them to the bigger growing system. and even nine liters of the nutrient solution to grow plants with. DWC (Deep Water Culture) hydroponic system that the PowerGrower GH4830 uses, makes it even better for beginners. This makes maintaining very simple, and it does not use up a lot of energy or water. You can use the PowerGrower with very little waste. How many growing buckets and what are the sizes? The PowerGrower GH4830 only comes with a single growing bucket. But that 1 growing bucket can grow small to large-sized plants. This is because the bucket size is pretty big and stores a little over 3 gallons in its bucket. You can grow a single large plant or several small ones inside of this bucket. Can you expand the PowerGrower GH4830? Yes, the PowerGrower GH4830 is expandable. You can add another growing bucket to it. And you may even connect the PowerGrower to another hydroponic system as well. This single bucket system weighs at only 19 pounds. So it should not take up a lot of room nor be too heavy to move around. The single bucket system that it has is light and thus, pretty easy to place on shelves. The main draw of the PowerGrower GH4830 is the fact that it is an all in one growing system. This means that there are no separate buckets to use. This all in one design will make it easier for newbie growers to start growing their plants. It is especially useful to anyone that only wants to grow a small number of plants indoors. Small size of the PowerGrower GH4830 will only take very little space inside. And the small size of this hydroponic growing system will mean that you are not even going to notice it because the air pump will be so quiet!